You've recently heard about the numerous health and detoxification benefits that are associated with using an infrared sauna, but with many different models, technologies and prices on the market it is important to do your research before purchasing. Di Vapor hopes that this buyer's guide will provide the information you need, along with a clear explanation of the differences between quality, features, safety and reliability when making a considered buying decision. Please print out this guide and read it at your leisure. 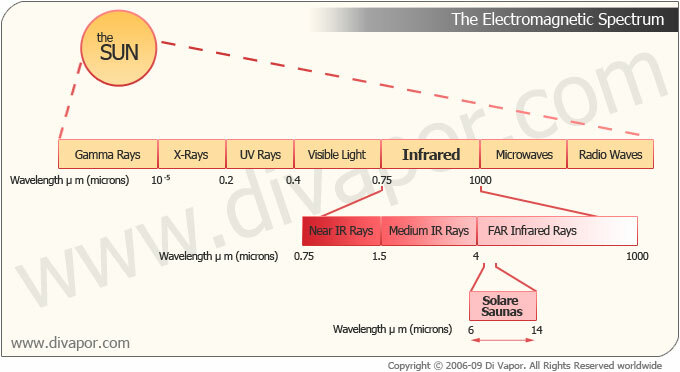 Briefly, infrared is part of the electromagnetic spectrum that falls between 750nm (nanometre) to 1000μm (micrometre) and will result in heating when absorbed by an object, due to some of its energy being passed to the atom with which it interacts. While normal heat energy can be transferred by simple convection and conduction, infrared can propagate through a vacuum, like space! Interestingly, it is the infrared heat from the sun that accounts for 49% of the heating of the earths surface . Infrared should not be confused with the dangerous ultraviolet rays that sit on the opposite side of the spectrum to visible light. In fact, infrared is radiated by all living creatures and by humans at around 10μm. When buying an infrared sauna your choice of heating element will make a huge difference to your overall experience and the amount of actual infrared that is absorbed by your body. The main heating technologies you are likely to come across are ceramic/Quartz tube heaters and carbon fibre panels. These can vary considerably in their reliability, total heating area, wavelength and quantity of infrared that is emitted. This is the newest infrared technology available and uses large, flexible carbon fibre panels within the sauna. Di Vapor uses the signature Carbonwave heater throughout its Solare range, which has some similarities to other carbon fibre boards on the market, providing a basis from which to explain this technology. A carbon fibre board is ultra-thin, light-weight and safe to use. The slim-line size of carbon fibre heaters means that they take up very little space within your new infrared sauna. The Carbonwave heating panel uses a sheet that has been impregnated with carbon using a special high temperature pressing technique to produce a resistance that will emit infrared waves at the optimum wavelength of 9.4μm for the human body. In addition, using this in-house vacuum pressing technique, a higher level of infrared can be attained, that also results in an even, safe, surface temperature that is more comfortable for the user. 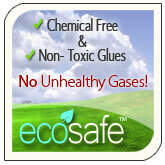 Furthermore, no unhealthy gasses will be emitted during heating due to its unique manufacturing methods. The Carbonwave heater created for Di Vapor was the first to gain patent approval for using nano-technology to create the far infrared heating board. The Di Vapor Carbonwave heating board has been thoroughly tested at the NTNU (National Taiwan Normal University) in the Physics department's far-infrared lab . These studies have demonstrated that the Carbonwave boards produce far-infrared rays close to perfection to work with the natural harmony of the human body resulting in increased health benefits. 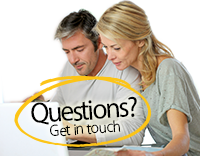 Why not ask about what tests have been carried out before buying a given technology? Oftentimes, many products have not been tested making it very difficult to verify their safety and peak infrared output wavelength. Typically, the carbon fibre technology will be up to temperature in about 10-20 minutes whereas a traditional sauna can take 30-90 minutes. While the infrared sauna technologies are fairly new the expected lifetime of carbon fibre heaters is 50 years or more. Due to the high temperatures of ceramic tubes used by other suppliers they tend to have a higher failure rate and have an approximate lifetime of 10,000 hours or 10 years . While both technologies produce infrared waves, it is generally accepted that the carbon fibre panels will cause a deeper sweat. This is a significant difference to consider, as a proportion of the sweating caused by the ceramic tubes can be attributed to its shear high temperature, which results in more of a surface level detoxification. Typically, the technology employed in carbon fibre heaters relies more heavily on producing the infrared at a lower temperature that will be more comfortable when sitting beside. Some people have compared the carbon fibre technology and ceramic tube heaters to the comfort of having a long horse-ride to a long car journey! From our research, it seems that alongside Di Vapor a majority of the major infrared sauna players in the market have moved over to this technology. A widely available alternative to the carbon fibre panel is the ceramic and Quartz heating tube. This technology was developed prior to the carbon fibre and has become popular due to its lower production cost, while maintaining a good efficiency, no pollution and short heating time . Electrical and ceramic conductors often utilise a small heater that uses waves from the near infrared spectrum resulting in much hotter operating temperatures, which can result in more breathing difficulties and can cause a burning sensation on the skin and eyes if used for prolonged periods. With varying designs, these heaters often have a surface temperature of 130C-630C or higher. These hotter surface temperatures can easily lead to burns especially if the sauna is used by younger children. Unfortunately, due to the increased operating temperature, failure of the heaters is increased and these higher temperatures can lead to damage to the wood. It is generally not desirable to have such high heater temperatures as it is the infrared rays more than the increased temperatures that helps to create a deep-tissue detoxification. Typically, the surface temperature of a ceramic heater will be around 190C, while a quartz heater can increase up to 600C or higher. Obviously, these surface temperatures will lead to painful burns if accidentally touched. Safety is paramount and the revolutionary Carbonwave technology results in the highest surface temperature being just 75C. The Carbonwave heaters maintain a lower operating surface temperature making them safer for the user while superseding the performance of most other infrared saunas currently available. This means that the heaters can be touched without the risk of serious burns. Furthermore, operation at these lower temperatures helps improve the overall efficiency of the infrared sauna. Due to the extreme temperatures of a traditional sauna, the body can be affected in negative way as the air can be difficult to breath and can cause extra stress on the skin, eyes and body. This is where the lower temperatures make an infrared sauna preferential. Obviously, infrared can only be emitted from the actual heaters themselves. Therefore, an increased surface area coverage will provide a larger area from which infrared can be experienced. For example, some infrared saunas have heaters located just behind the back and at the sides resulting in little heating of your lower legs or feet, while others have small heating panels that can also leave areas of the sauna with little coverage. Studies have shown that the carbon fibre heaters often far surpass the heating surface area of ceramic and quartz electrical conductors. Heat via a large panel as opposed to a thin tube helps provide a much larger surface area for the healing infrared rays. This results in a more even distribution of heat. The heaters area makes sure that nearly every square inch of your body is surrounded making the experience like stepping out into the tropical sun on a warm day. This results in a total heating area for the sauna ranging from 5-100 times larger than many ceramic or quartz heater counterparts. The larger surface area results in an evenly distributed temperature throughout the sauna whereas other heater designs can lead to uneven heat distribution. This figure provides a visual demonstration of the TOTAL body surround design concept. Finally, why not check whether the sauna has built-in floor heaters. Many designs using ceramic heaters do not heat your feet due to the increased risk of burning your skin on the extremely hot heater surface. However, it is often your feet that will be the coldest and the gentle warmth of a floor heater can transform your sauna experience. When comparing infrared sauna models find out the number of heaters, the total square inches of heating area and where the heaters are located. Studies have shown that the body naturally radiates infrared between 2-50 microns with the peak output of the body being around 9.4μm. In fact, NASA states that humans emit infrared most strongly at 10 microns , which provides the perfect body resonance. The Solare Carbonwave heaters output infrared in the far infrared 6-14μm wavelength range, which is perfect for humans. Research findings on the Carbonwave heaters have shown that the peak output is evenly spread around the optimum 9.4 microns. This results in a natural resonance that directly relates to the peak 9.4μm output of the human body. Infrared has a large range on the electromagnetic spectrum so check to find the output range and peak output of the heaters from your comparison sauna suppliers and look for an output that is close to the human bodies peak output. The finish, longevity, thermal-properties and aesthetic appeal of your sauna are all dictated by the type, quality and preparation of the chosen wood. 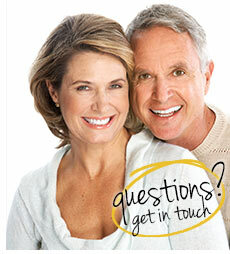 This section will highlight some of the factors that you should consider when making a choice. Preparation: Firstly, find out how the wood has been prepared? 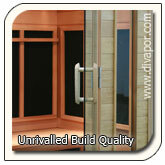 It is important that the wood is correctly cured to avoid warping and splits when the sauna is heated and cooled. If the wood is not correctly dried before the sauna is manufactured then over time this warping can lead to problems such as gaps or even problems in closing the door! The use of kiln drying at the actual manufacturing plant means that all the wood used for the Solare sauna range can be carefully dried. This makes sure that the moisture content of the wood is within optimal standards, ensuring the wood will not twist during production. Knots: Naturally, wood has knots and these can weaken the timber . While knots should not affect a sauna's construction, a knot can split away from the wood during repeated heating and cooling of the sauna. Eventually, the knot can become loose or dislodged and due to the knots increased density it can be hotter with the increased risk of skin burns. The wood used in the Solare sauna range has been carefully selected so that the wood is free from knots, which also has the desired effect of producing that designer looking finish. Colour Matching: Wood grades vary and Di Vapor is careful that its cedar wood and basswood is of the highest grade when imported from Canada and Russia, respectively. The colour of cedar wood can vary between samples from the same tree. Therefore, during the production process a special wood-selection procedure guarantees that the wood used for any one sauna has a very close match. The most popular woods chosen for sauna construction are: fir, hemlock, cedar and basswood. Typically, these woods are chosen due to their excellent thermal properties and resistance to splitting when heated and cooled. 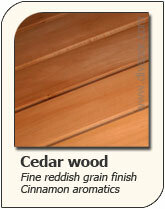 Cedar is a wood often chosen for premium sauna models where a designer finish and panache is demanded. In a publication by Josefina Gonzalez, it is stated that cedar is a preferred species where decay-resistance, dimensional stability and good insulation are all important . In addition, cedar does not discolour to the same extent as other woods when used in a sauna. Di Vapor uses premium cedar imported from Canada throughout the sauna to include the internal panels and all external trim. Longevity: Cedar wood often lasts longer than other types of wood when used in a sauna environment. The wood is highly durable  and has exceptional thermal properties that helps make the wood naturally resilient to splits that can be caused due to the heating and cooling of the sauna. The lower density of cedar makes for a high stability wood that is resistant to shrinkage. Striking Appearance: Cedar wood has a uniform texture and a beauty that is second to none with natural colours ranging from light honey blends, mellow ambers, reddish cinnamons to rich sienna browns. Simply put, the finish of the cedar wood will turn heads. Natural Wood Aromas: Cedar is often praised for its spicy aromatic fragrances. When the wood is heated a subtle cedar fragrance will fill the air to create that true sauna experience. The aromas gently soothe the senses while not overpowering them like a perfume to enhance your sauna therapy. Decay Resistance: Research from Oregon State University has shown that an important property of the Western red cedar is its high decay resistance. Extractives from the heartwood named tropolones were found to be toxic to a number of wood rotting fungi . Health Effects: It has been shown that red cedar can safely be used in contact with food. For example, an increasingly popular experience in gourmet cooking is to bake fish on a plank of cedar. Interestingly, the extractives in the wood that are toxic to insects and wood-fungi are locked inside the wood and can only be extracted by grinding down to a fine dust and then boiling. Water resistance: The heartwood of the Western red cedar is highly impermeable to water . This unique property makes the wood suitable for a sauna where the woods water resistance will help stave off warping and twisting from its fastenings , while helping to reduce mould and bacterial growth. Western red cedar shrinks and swells minimally as the level of moisture in the air varies. Josefina  presents a study that shows how western red cedar greatly resists moisture absorption in comparison to Douglas Fir, Western hemlock and Sitka spruce. After an initial drying of 6-10% moisture content and left outside, covered for a year the cedar equilibrated to 9-11% moisture, while the spruce and western hemlock ranged from 14-21%. Cleaning: An important consideration in choosing a sauna wood is understanding how easily its interior surface can be kept clean. Cedar wood can easily be maintained by using a gentle detergent and water to remove any marks while more stubborn stains can be removed by sanding the internal surface, while bringing it back to its original natural beauty and sweet aromas. In the unlikely event that you suffer from MCS (Multiple Chemical Sensitivity) we would recommend the Solare Carbonwave hypoallergenic Basswood range. Another excellent alternative to the cedar and chosen especially by Di Vapor is the Solare basswood. The elegant finish will compliment most interior designs. This exquisite wood is commonly known as limewood in Britain and linden in parts of Europe and also Basswood in the trade and in North America. This wood has a very fine even grain, good acoustics and its properties lends itself to intricate carving. 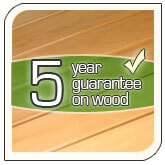 Please digest the following points to see how basswood is a perfect choice for your new sauna. Di Vapor uses hypoallergenic basswood carefully selected from Russia and which passes the national standard FAS approval to guarantee the highest quality choice of hardwood. Aesthetics & Finish: The wood has a uniform texture with little colour variation between the sapwood and heartwood making for an elegant, designer finish that will compliment most interior designs. The colours range from creamy-white and light-yellow in the sapwood to a pale brown in the heartwood with a soft, straight close grain that is perfect for creating an exquisite fine natural finish. Split-Resistant: One of the most important considerations is a woods ability to resist splitting when repeatedly heated and cooled. Basswood has a naturally strong resistance to warping and splitting due to its dimensional stability once dried. Hypoallergenic: When dry, basswood is odourless and bland-tasting making it useful for many kitchen purposes, such as bread bins. 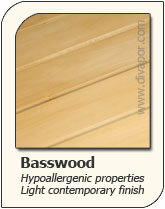 This makes basswood the perfect choice for people who have sensitive skin or allergies and cannot tolerate aromatic oils, perfumes or herbs. Therefore, saunas made from Basswood can result in a comfortable and refreshing sensation. Throughout the Solare sauna range any basswood sauna also uses basswood for all the internal wood and trim. Audio and Speaker System: This is probably the most common feature and in our opinion should definitely not be disregarded. A built-in radio will allow you to listen to your favourite station while detoxifying and relaxing in the sauna. Alternatively, many models on the market have built-in CD players where an audio book or music from your selected artist can be played. In addition, simply open the sauna's door and listen to its sound system while you relax in the room in which the sauna is situated! In fact, Di Vapor believes that quality should run throughout all aspects of your sauna, so all saunas in the Solare range come with the premium Blaupunk CD and stereo system that is also resistant to heat. Why not see if a comparison sauna includes a dual speaker system to create that stereo experience instead of just mono. 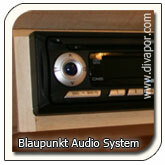 Alternatively, the Blaupunkt CD player and two Blaupunkt speakers can be connected to an MP3/iPod using an additional cable. Please ask for details. 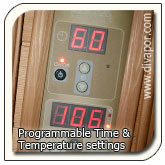 Programmable Temperature: Typically, the sauna should be pre-heated before entering. It is important to look for a model that allows you to set your desired temperature and then maintain that temperature. Where this option is missing we have heard claims that an infrared sauna doesn't actually heat the air temperature and only the user. While infrared rays do heat the person they will also heat the air particles to a lesser extent and the heaters being hot will themselves heat the sauna using convection and conduction. The Di Vapor Solare temperature display can quickly be switched between Celsius and Farenheit. In addition, the temperature can be set at 5 degree intervals between 40-65C or 100-150F (although it shows single degree changes). Once at the specified temperature the sauna will automatically turn the heaters on or off as necessary to regulate the temperature. Programmable Countdown Timer: Please ensure that your chosen sauna has some mechanism to count-down during your sauna session. If a digital control system is not included then this may include a sand timer and will help you to monitor the duration of your session. As a safety feature it is important that the control system automatically shuts-off the sauna once the timer reaches zero to protect the user. The countdown timer in the Di Vapor Solare saunas can be set at 5 minute increments between 0-60 minutes and counts down in minutes. Large Internal Benches: While easily overlooked, the bench sizing will have a noticeable impact on your overall comfort during the sauna session. You should check the bench dimensions and make sure the width and depth of the bench is sufficient. A majority of the Solare saunas have a bench depth of 466mm and the 4 person model has a bench depth of 426mm. 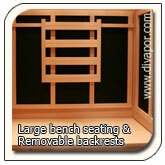 Removable backrests: A removable backrest allows you to change the position of the backrest inside the sauna to any position along the back wall. Adjustable roof vent: Slide this vent open to allow fresh air to circulate inside the sauna without needing to open the door and loose a majority of the heat. Important considerations that will affect the sturdiness and structural strength of the sauna are its wall and glass thickness along with fixing mechanism for the adjoining panels. Typically, the walls are constructed using double panelling with a cavity in the middle that can be used for wiring, etc. The type and thickness of the wood used can have a significant affect on the heat loss and overall running costs of the sauna. The Solare infrared range uses two layers of strong, tongue and groove sauna panels with a thickness of 6mm each, along with a wooden frame in-between that is 20mm, giving a total thickness of 32mm. This results in a sturdy, high-stability finish. Whilst glass provides less insulation than wood it is desirable for both aesthetic reasons and to reduce the feeling of claustrophobia while enclosed in the sauna. For example, a full length tempered safety glass door provides that designer finish. The glue used in the Di Vapor Solare saunas is a Polyvinyl Acetate Dispersion being water based and environmentally friendly. Be careful that the glue used in a sauna is not chemical based as this could result in toxic fumes being released during operation and these chemicals could easily be absorbed by your open pores. It is advisable that the electrical wires are protected due to their operating environment as it would be dangerous to have faulty wires touching hot wood! 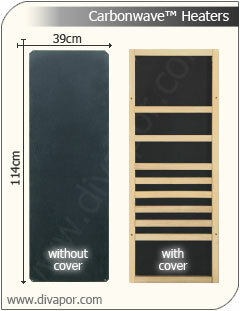 Each Di Vapor Solare sauna has casing to protect the wires where necessary. An infrared sauna is often the focal centrepiece of the room in which it is placed. While the shape of a sauna is unlikely to vary to any large extent, there are large differences in the aesthetic finish. For example, many saunas look very plain and box like with little thought dedicated to its external and internal finish. Through careful attention during the design phase and along with professional carpentry and bevelled edges the Di Vapor Solare range has an exquisite sauna finish that would surpass much household furniture. It is often desirable to maintain that elegant, designer finish that can be tarnished with cheap or unsightly fixings that hold the constituent panels together. These fixtures will often disturb the uninterrupted wood finish. The Solare sauna range is cleverly engineered so you will not see any screws or metal fixings from the outside of the sauna. In addition, some smaller fixings use magnetic fixtures that further enhances the superior craftsmanship of the sauna while simplifying the overall assembly process. Typically, the sauna walls are held together by either: bolts, clips, magnets, key-hole fixings or a mixture of the above. Each have their relative merits. For example, clips are relatively easy to add during manufacturing so may lead to a cheaper price, while bolts are very strong, but unsightly. The Solare sauna range uses a key-hole fitting that is hidden when installed and is very strong, providing an extremely sturdy finish. A Solare sauna can be assembled within 30 minutes without the need for any special tools. The last thing you want is a poorly tested electrical product in your home that can put your families safety and health at risk. Many cheap saunas exist on the market that are imported and don't meet basic requirements. Safety certificates exist to minimise your risk as a consumer and help vouch that the product has passed important safety tests. Please look out for the following certificates of which the Solare saunas have all passed. EMC - This mark demonstrates that a product has passed European and International standards in electromagnetic compatibility. This mark was developed to safeguard and protect users and other communication systems. GS - Recognised throughout Europe and particularly important in Germany, the independently authorised GS mark shows that a product complies with the minimum requirements of the German Equipment and Product Safety Act. The GS mark shows a product has passed safety tests, exceeds legal standards and is of a high quality. Along with the CE mark you can rest assured that your product has met stringent safety requirements. For more information please visit: Intertek GS Mark. CE - Using the CE mark is a self-statement by the manufacturer that the product meets the essential health and safety requirements set out in European Directives. Please note that stating CE compliance is not a guarantee that the product has met certain standards. You should also look for other marks that are externally verified. RoHS - RoHS stands for the "restriction on the use of certain hazardous substances in electrical and electronic equipment". The presence of this mark will show that the product does not contain hazardous products (e.g.,mercury, lead, hexavalent chromium and cadmium) above a determined safe level. Please see http://www.rohs.gov.uk/ for more information. ETL - The ETL listed mark of North America shows that a mechanical, electrical or electro-mechanical product has been tested and meets the minimum requirements of prescribed product safety standards. In addition, it shows that the production site of the manufacturer conforms to a set of compliance measures. The C and US symbols on the logo show that the Di Vapor Solare sauna range has passed safety tests in both North America and Canada. If the sauna does not have this certificate then your sauna may turn out to be an electrical hazard! Please visit www.intertek.com for more information. ISO9001 Certified - The ISO9001 standard requires a continual improvement in the operating processes and quality management system. This standard is important as it guarantees a consistency in product and service that will achieve customer satisfaction. Each Solare sauna is thoroughly tested for 1 hour to ensure that it is fully functional. It has been shown that the electrical components in a Di Vapor infrared sauna have an extremely low failure rate meaning your sauna is always ready to perform when you want to relax and detoxify. For example, the Di Vapor Carbonwave heaters have a failure rate of less than 0.01%! In fact, each Solare sauna is manufactured to a standard to meet both residential and commercial demands, while the Carbonwave heating panels are the only technology for which FIR has been tested in Japan. Customer Service: There are many fly-by-night companies that can be found on the Internet who are more than happy to take your money in exchange for a sub-standard product. When you have a problem then the company is difficult to contact and oftentimes they have changed name, alias or gone out of business. Do your research and make sure you choose a reputable company, otherwise your guarantee may turn out to be pointless! With any product that has working parts, electrics or water involved then there is the potential for breakdowns to occur. Therefore, it is extremely important that you have an adequate warranty in place. Furthermore, this warranty must be backed by a company you believe will still be around to service your warranty if a problem occurs. It is no good being offered a 2 year warranty only to find the company is no longer contactable after 6 months, as is the case with many cheap, fly-by-night companies. Check the warranty with regard to the control panel, control box, heating elements, wood and glass as it may vary for each. The Di Vapor Solare sauna range comes with a 5 year parts warranty on the wood, glass and Carbonwave sauna heating panels. In addition, the control box and control panel is covered by a 2 year parts warranty. Harrar, E.S. 1957. Hough's encyclopaedia of American woods. Vol. I. Robert Speller & Sons, New York, NY.